As the name suggests, the Rollerscript font from G-TYPE designed by Nick Cooke was conceived by writing out variations of each character by hand using a roller pen before the scanning and digitising process. Pronounced pressure points where characters start, end or join make for a very authentic hand drawn appearance which is enhanced still further through the use of over 100 standard ligatures. Character pairings like ‘tt’ or ‘gg’ in normal handwriting fonts never look natural but in Rollerscript will now automatically change as you type! Rollerscript’s handwriting credentials are given a further boost with the inclusion of multiple underlines and sketched icons, arrows and emoticons. 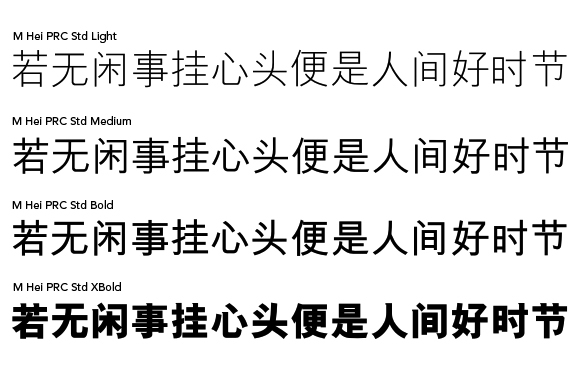 Available as 2 Typefaces – Rollerscript Smooth and Rollerscript Rough or as 1 Value Pack, Rollerscript supports at least 21 languages (STD/OT CFF). This entry was posted in Handwriting & Script fonts and tagged chinese calligraphy fonts, Handwiring Font, Linotype on May 24, 2017 by alt.TYPE.